Angela G. Gentile, a registered clinical social worker, is available to provide confidential individual, couples, family or group counselling services in the evenings and weekends. She uses a strengths-based approach, and also has experience in narrative and other forms of therapy. 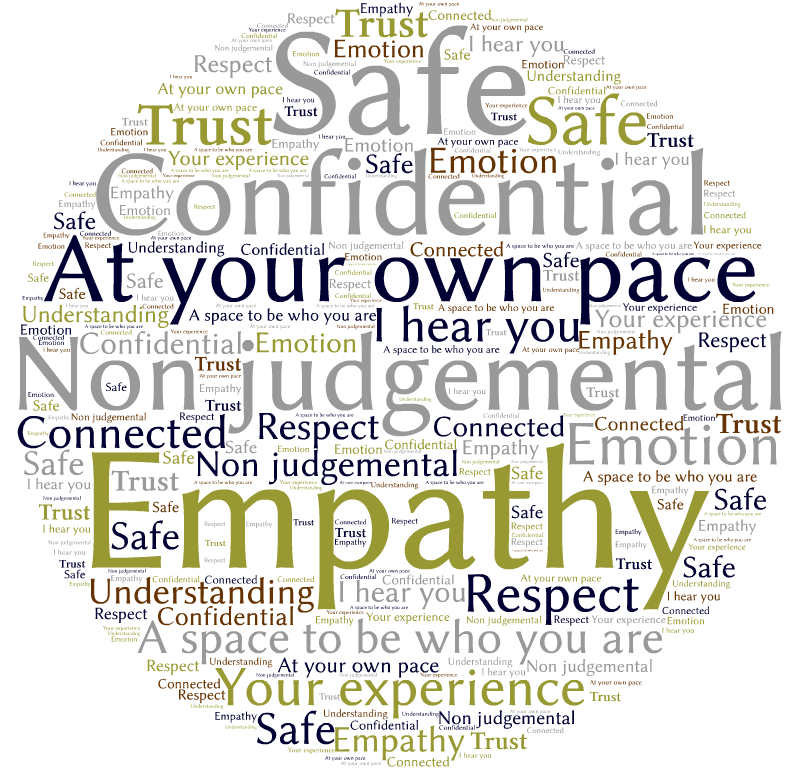 Counselling or therapy can be short-term or long-term. Each situation is different and your individual needs will be assessed. Angela will help you determine a plan that is right for you. Meetings are held in a location of your choice. She can meet you in your home (home visits), in your long term care setting (Personal Care Home/Nursing Home, Supportive Housing), or at a location of your choosing (Coffee shop, your workplace, restaurant, etc.). She offers telephone, Skype, and FaceTime appointments as well. Location is no barrier! If you are wondering if your services are covered, please check out this post or contact Angela (see below). “THANK YOU! I am definitely feeling better. Even just being able to talk about it with you and get it all out is weight off my shoulders. I wish I would have done this sooner.” – Kim D.
“Really feel great about our session. Very confident that what I learned yesterday is going to help me to live in harmony with fear. Thanks! I am looking forward to our next session!” – Kim L.
Annual Income before taxes determines hourly fee. Please contact Angela G. Gentile, M.S.W., R.S.W. for more information and to set up a complimentary 30-minute consultation. Available via Email, Telephone, Texting, Skype, FaceTime, and In Person. Angela G. Gentile, MSW, RSW is a registered clinical social worker who is currently employed as a Geriatric Mental Health Clinician and enjoys writing, traveling, photography and exploring what it means to age well. She is a realistic optimist who lives in Winnipeg, Manitoba. Find her online at angelaggentile.com.